With its bold look and design, Samsung Galaxy A9 Pro has a metal and glass design that make it leave a big impression. The smartphone is powered by a huge 5,000 mAh battery and features a CMOS 16MP primary camera. Samsung Galaxy A9 Pro features a 6-inch Super-AMOLED Full-HD display that enables you to live in its more vivid Avatar. You to celebrate the incredibly bold and immersive user experience with your Galaxy A9 Pro. 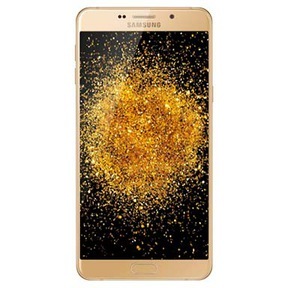 Powered by Qualcomm Snapdragon 652 Octa-core chipset, this Samsung smartphone runs Android 6.0 with the incredible support of 4GB of RAM. Galaxy A9 Pro comes in a 32GB variant, which is expandable to 256GB. Its CMOS 16MP rear camera has a brighter lens with an aperture of F1.9 and features optical image stabilisation for amazing pictures. Samsung Galaxy A9 is powered by a huge 5000 mAh battery for extended life and on-the-go usability. Its glass and metal finishing gives it a premium look, which is complemented by the narrow bezel design. Unfortunately, these specifications are obsolete now. It’s time you upgrade a newer smartphone for a better experience, be it an in-display fingerprint scanner or fast charging. You can sell old mobile on Cashify.com and upgrade to a brand new feature-packed, powerful Smartphone, today. Why Sell Your Old Samsung Galaxy A9 Pro On Cashify? Cashify is the best online platform to sell used mobile and get the best resale value of your old Samsung Galaxy A9 Pro in just 60 seconds. To sell old phone, you need to follow a few simple steps. 3. Select the Galaxy A Series under the Series menu on the left-hand side. 4. Select Samsung Galaxy A9 Pro and you’ll see an estimated price to sell old Samsung Galaxy A9 Pro for right away. Simply provide some basic information about your used Galaxy A9 Pro and you’re done. You will see the exact resale value of your Galaxy A9 Pro right there. We arrange a free pick-up and provide you with the payment at the address of your choosing.